St Ives has always been very proud of it’s RNLI lifeboats. There has been a lifeboat in St Ives since the 1840s, with the boats for the first 100 years being man and wind powered boats, the crew having to row to assist casualties, helped by sails where they could. 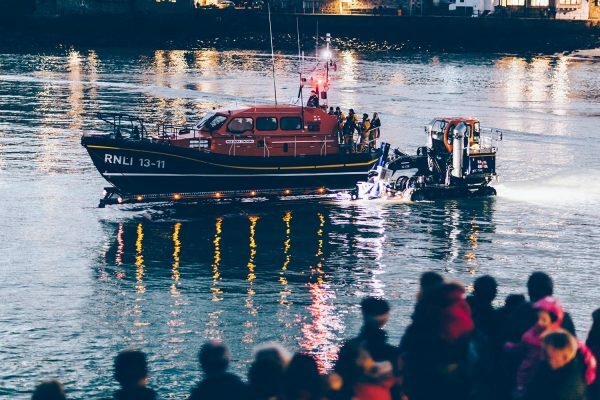 Since the 1940s, lifeboats were motorised, but just like their predecessors were still launched by hand, with the lifeboat being hauled through the town and down to the water by the townsfolk. Today, St Ives has two RNLI lifeboats, which cover different needs. One is an all weather self righting Mersey Class lifeboat, The Princess Royal, capable of launching in any conditions to assist vessels and people in distress, and is launched by a specialised tractor and trailer rather than by hand as boats of old were. The other is a smaller D Class inshore lifeboat, The Colin Bramley Parker, which is designed to get in an around the rocky coastline and beaches around St Ives. Modern all weather lifeboats are capable of operating, as the name suggests, in all weather conditions, and are capable of self righting should the worst ever happen. 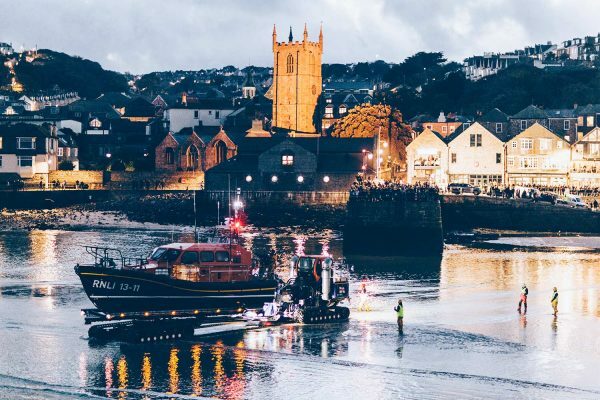 The volunteer lifeboat crew undergo extensive training, both ashore and afloat in St Ives, and at the RNLI’s dedicated lifeboat college in Poole, before they become fully qualified crew men or women. 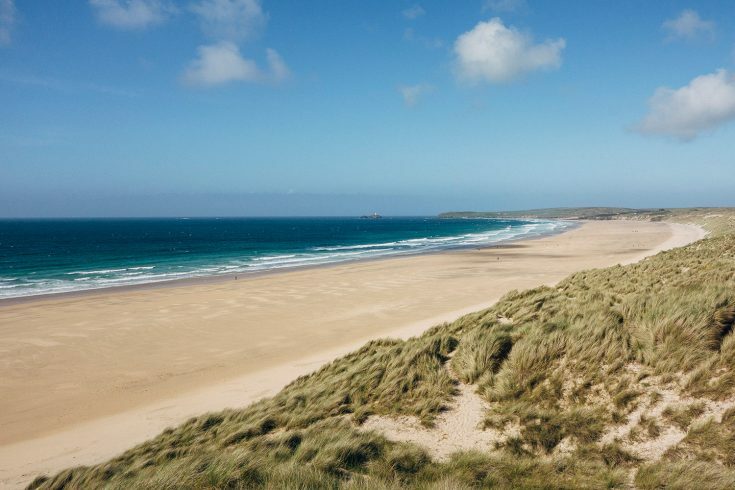 The lifeguards, which look after our beaches in and around St Ives are now also part of the RNLI, being trained and equipped by the RNLI to help to educate and assist the users of our beaches. 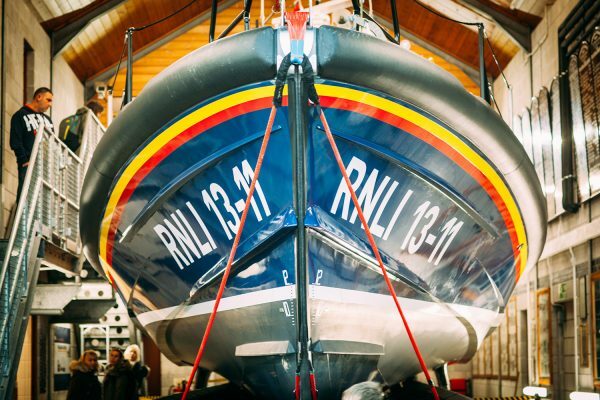 In October 2015, St Ives received a new Shannon class RNLI lifeboat replacing the Mersey. Minor work to the boathouse took place to accommodate it. Although our Mersey class is a very capable lifeboat, which has saved countless lives and vessels, boat capabilities and handling have now moved on and the water jet driven Shannon Class boat is much quicker and more manoeuvrable, can be recovered much quicker, better equipped and capable of performing the RNLI’s role of Saving Lives at Sea. The new Shannon Class lifeboat was funded by a single legacy and named ‘Nora Stachura’. 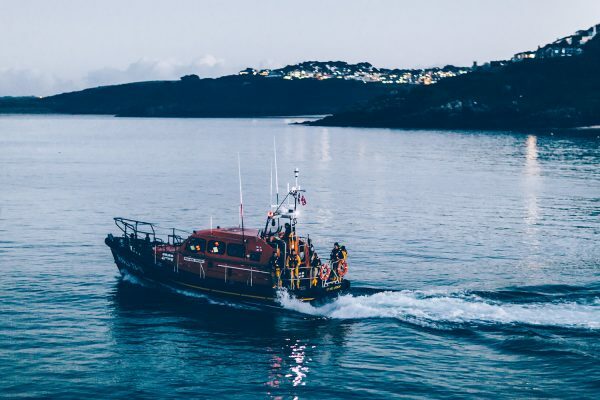 The new Launch & Recovery vehicle needed for it required separate funding and to that end the St Ives lifeboat station decided to start fundraising for it in 2013 with the aim of raising £100,000 towards the one million pounds needed for it. 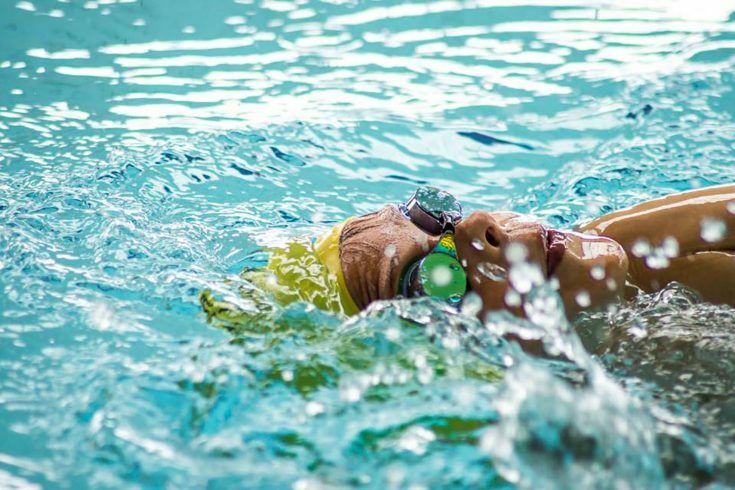 In August 2014, the station reached its target and received the new boat later in 2015.